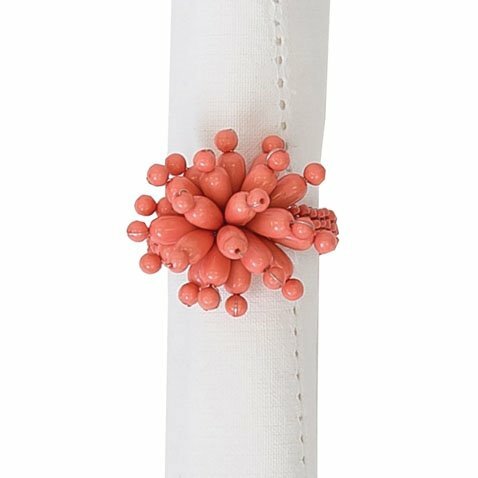 Bubble Bead Coral Napkin Ring by C&F Enterprises | P.C. Fallon Co.
Bring pastel coral color to your table in a fun beaded napkin ring. The Bubble Bead Coral Napkin Ring is made of 60% plastic bead, glass beads, and iron. 1.5" diameter ring. (Pictured with a white napkin which is not included.) Sold as a single napkin ring. Made by C&F Enterprises. Manufacturers UPC# 008246506119.